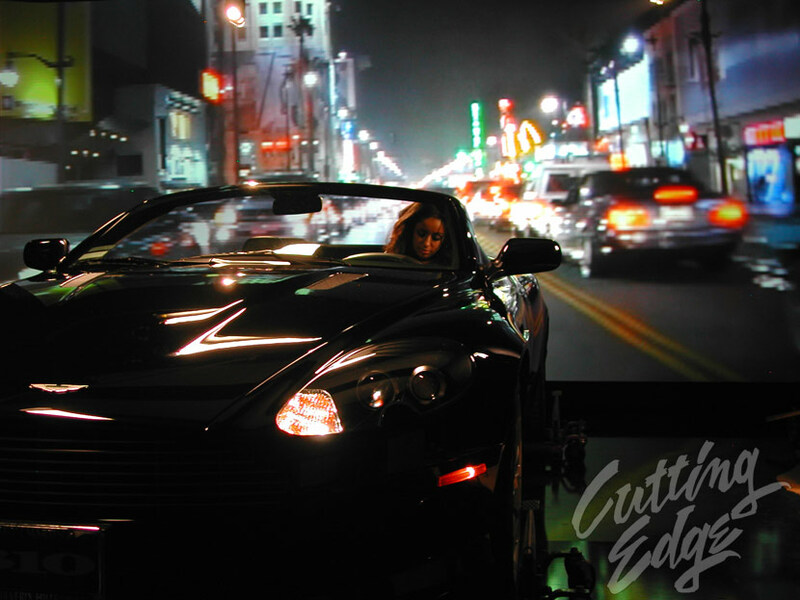 Car driving sequences can be safely shot in the studio environment, at any time of day, as opposed to a practical location. 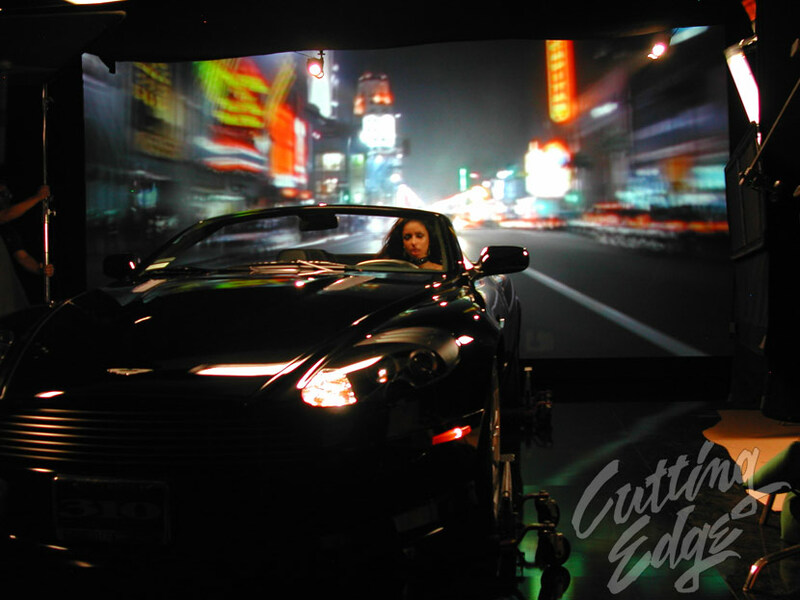 Utilizing rear projection, we are able to simulate the car driving at any speed. We use high-powered LCD projectors for these process photography shots, that are also referred to as the "poor-man's process". 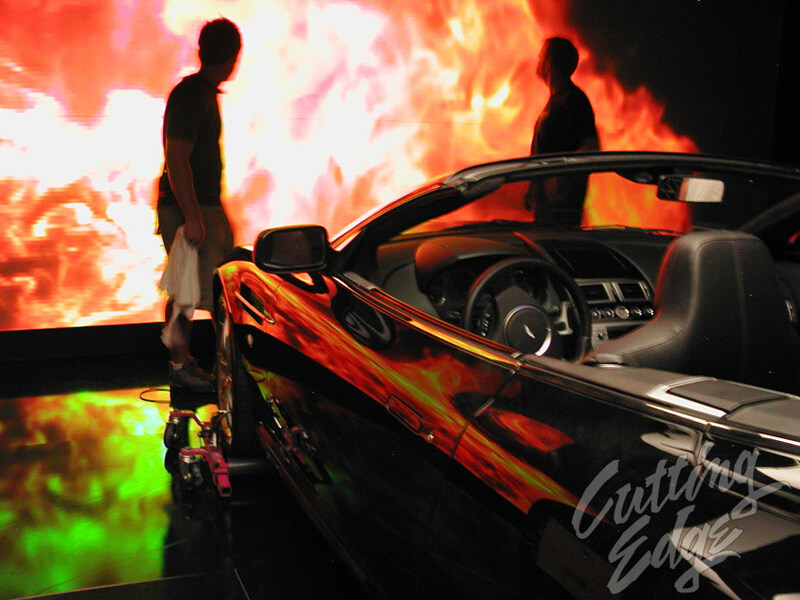 Using the rear-screen process also allows for you to place talent in what appears to be a dangerous situation - perhaps with 12-foot flames. These visual effects can be done inexpesively, and you know exactly what you've got at the end of the day.